The outlook for people with cancer is changing rapidly — and has never been more positive. As a comprehensive cancer center with decades of singular focus in moving the field forward, Memorial Sloan Kettering is helping to make what was impossible yesterday possible today. We’re proud to have partnered with you and tens of thousands of our colleagues around the globe to find answers for people — and their loved ones — struggling with a cancer diagnosis. 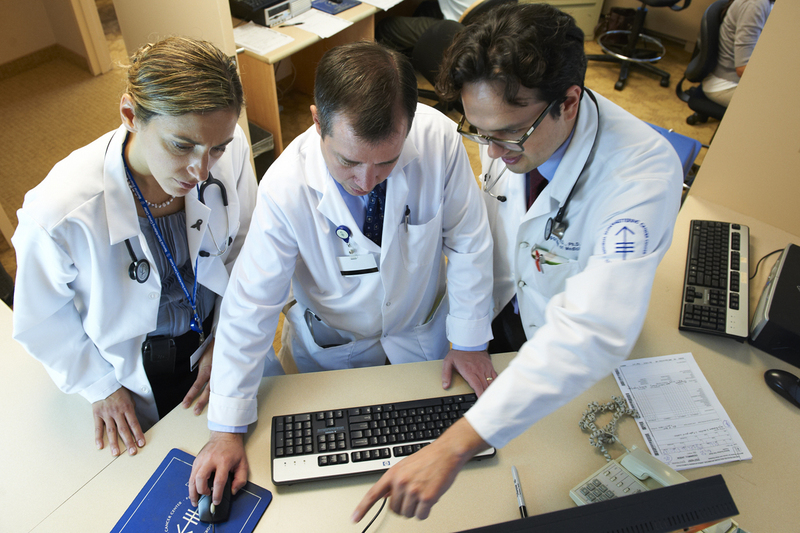 Our Patient Access Service is available to assist healthcare professionals in referring a patient to Memorial Sloan Kettering. We offer the latest techniques to diagnose and treat cancer, no matter which type of cancer or allied disease your patient may have. Through our multidisciplinary team approach, we provide your patient with diverse physician, nursing, and research expertise, ensuring that he or she has the best chance possible for a cure and a high quality of life. We’re grateful for each referral you make to MSK, whether it be for a patient requiring an initial cancer assessment, screening or surveillance, treatment, a second opinion, or a pathology consultation, and we’ll keep you informed throughout the referral process and your patient’s course of treatment. We also offer resources such as prediction tools that you can review with your patient while sitting in your office, as well as cancer-specific clinical updates, survivorship resources, and other helpful links. Ultimately, when you and other healthcare professionals entrust your patients to our care, we help assure that everyone benefits from our drive to change how the world treats cancer.